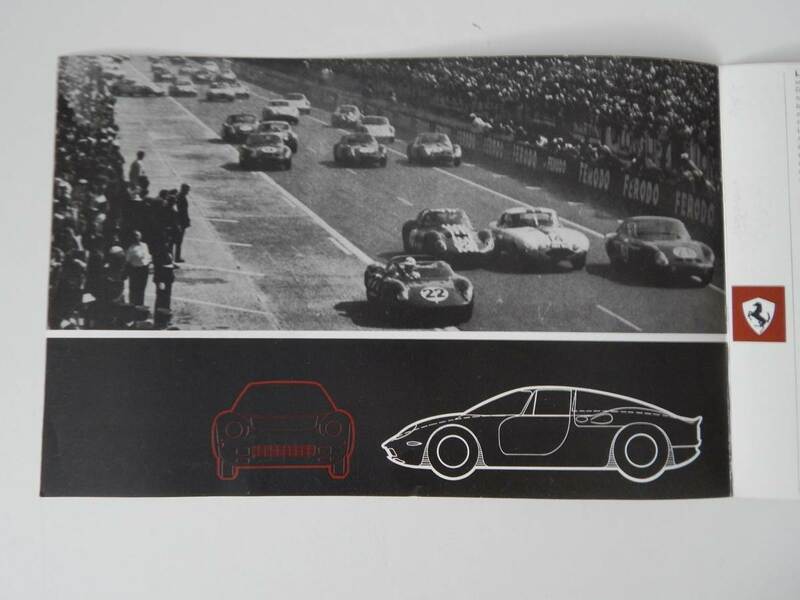 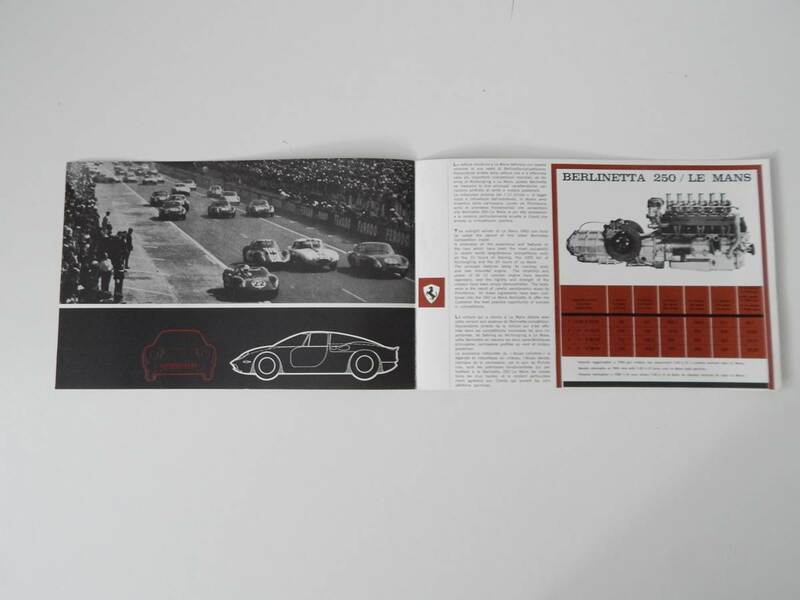 Original Ferrari 250 Le Mans sales brochure. 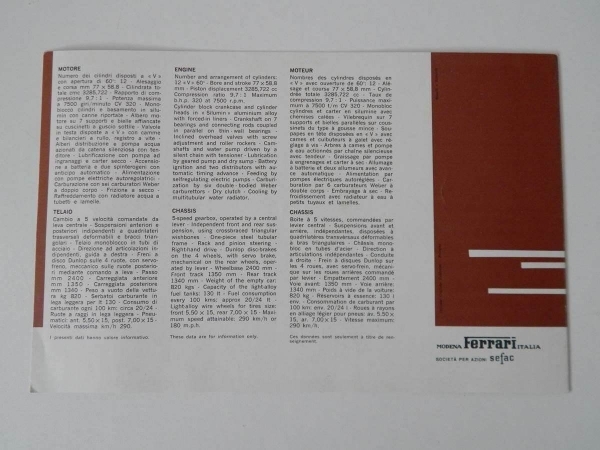 The cover has faded on the right hand side slightly, but the overall condition considering this brochure is 50 years old is very good. 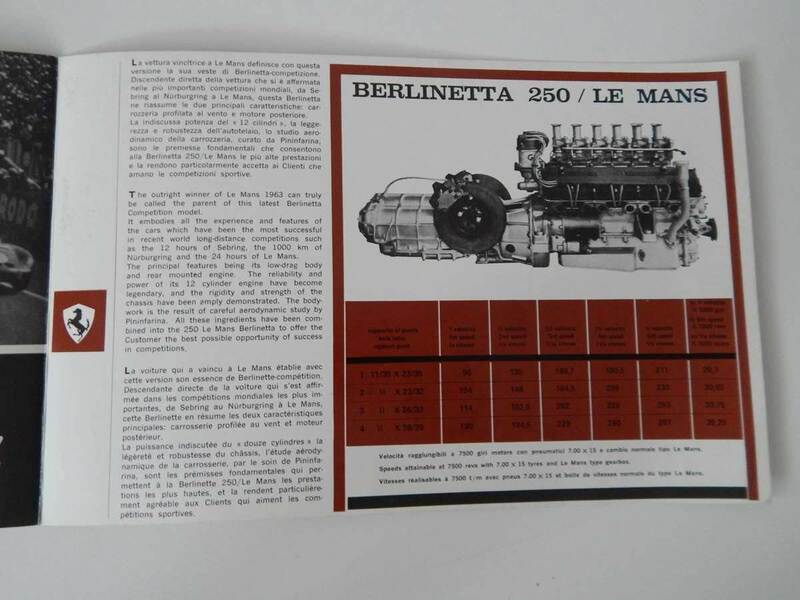 It had details on the 250 LM in Italian, French and English, as well as some fantastic period pictures. 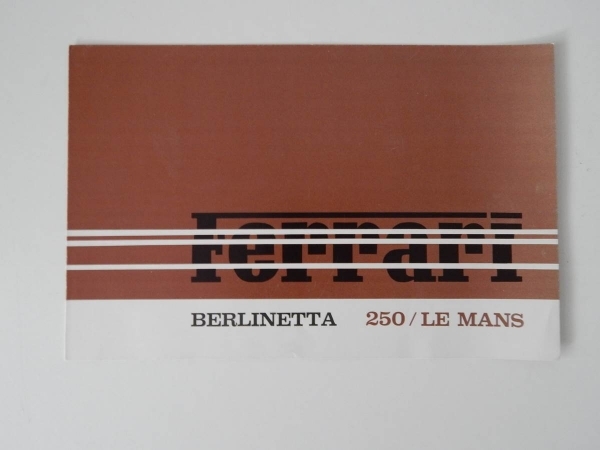 If you’re an avid Ferrari collector, you have to have this in your collection.